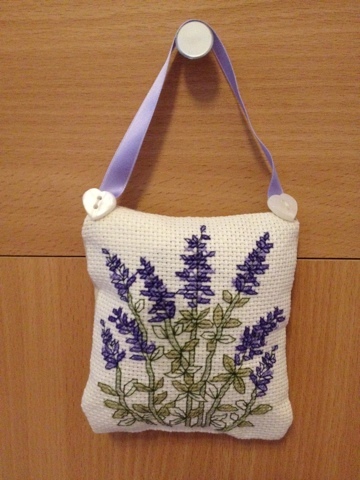 I finally finished the lavender sachet (it even smells of lavender) which was a gift for one of my friends. Heres the finished project. I'm so proud of it, it was the first I made of that kind of bag. The design is from The CrossStitcher magazine.